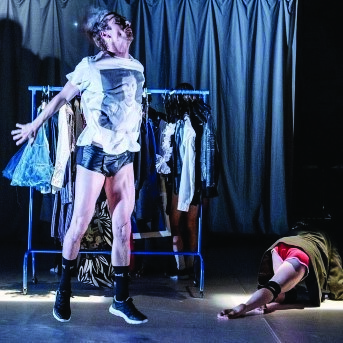 "Darkin invites us to share the intimate space of imagining and longing"
"One of the most overtly theatrical choreographers of the British new wave." Tough girls and pretty boys living life in the margins, dreaming about being at the centre. Bringing us into a space of fluid identity, the dancers experiment, seduce and philosophise through their bodies, clothing, and ideas. Velvet Petal is inspired by the life-cycle of the Monarch butterfly, Robert Mapplethorpe’s polaroids and is set to a fresh dance punk score.